Polyurethane was invented in the 1930s by German Industrial chemist, Dr Otto Bayer. He designed it as a substitute for rubber, a scarce material during World War 2. Polyurethane was used on a limited scale as aircraft coating during the same war. Since its invention by Dr Bayer almost 90 years ago, the application of polyurethane has spread far and wide. It’s now an essential, cost-effective material for a wide variety of products, many of which sit right under our noses. You may be wearing polyurethane right now. Read on to see how polyurethane has changed the way we live our lives. In the 1940s, scientists discovered that polyurethane could be turned into threads. Combining these threads with nylon could make stretchy, lightweight garments. Today, most tight fitting skins, sport shirts and pants used by top athletes have polyurethane in them. Polyurethanes are commonly used within the foams that insulate fridges and freezers. They resist the transfer of heat and help to keep the contents of a fridge or freezer ice-cold. Polyurethane is everywhere inside the modern car. The material makes up the foam in the seats, is utilised in the bumpers and gives your entire car body its shine. Spoilers, doors and windows also contain polyurethane. In boats, polyurethane is the chemical that helps seal the boat’s hull and stops water from getting in. It also protects boats from the corrosive effects of harsh weather and sea water. In many vehicles, both on land and sea, polyurethane is used in wire and cable coatings, engine tubing, drive belts, hydraulic hoses and seals. Polyurethane is prevalent within today’s hospitals and medical research facilities. It is used in general purpose tubing. It sits inside hospital bedding and is part of the chemical make up of surgical drapes. Polyurethane is also used in wound dressings, catheters and heavily used in short-term implants. Within your home, polyurethane is everywhere. It’s in your floors, working as a cushioning inside your carpet. It’s used as a plastic covering on your roof to reflect sunlight and keep your house cool in the summers. In construction, we use our own polyurethane product, GeoPoly™, to stabilise the foundations under homes. 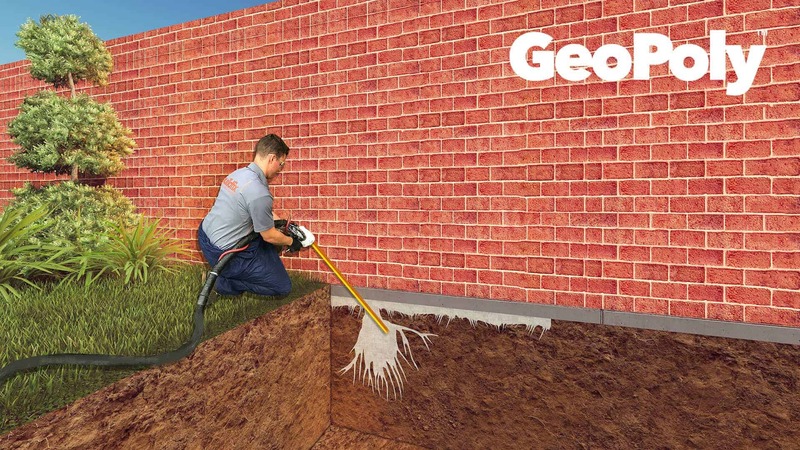 GeoPoly™ stops homes from sinking by solidifying eroded soil and filling voids. It prevents wall cracks, wall movement and stops the effects of subsidence in its tracks. Want to know more about polyurethane or GeoPoly™? Polyurethane is a truly amazing chemical. We revere its origin, history and the extent of its application in our modern world. If you want to know more about polyurethane or how we use it in the building and engineering industry, we’d love to tell you more. Just give us a call on 1300 854 115 or get in touch via our form.